One of the things I love best about being part of Close To My Heart is the open sharing of ideas between consultants across the globe. Today’s little card was inspired by a lady who lives in Ohio, USA. So, thank you Bobbi Frappier Dailey! 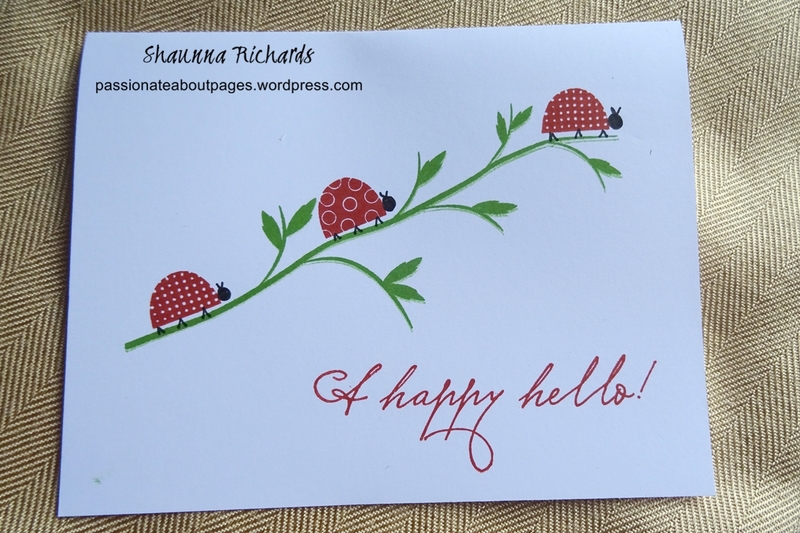 I adore ladybirds. 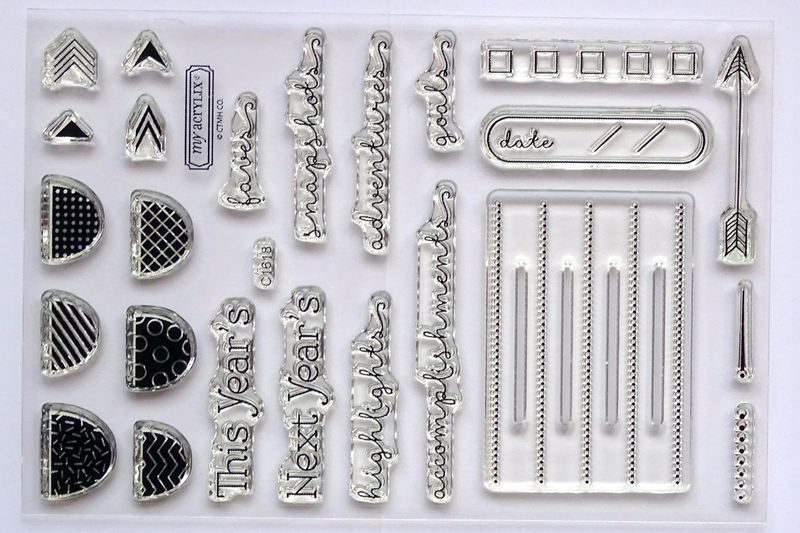 Year Noted Stamp Set. Available Jan 2015 only as part of a kit. Spend $75 and purchase the kit for $10. 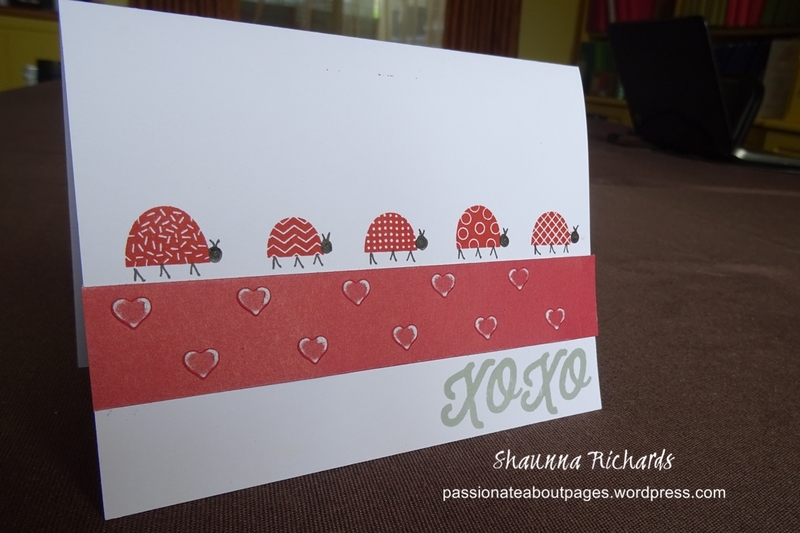 Here’s one I made using next month’s stamp of the month, A Happy Hello. I made 5 of these to give as a Secret Sister gift in Hawaii. I stamped the twig, moved it slightly and stamped again without re-inking so it would look like the branch was moving a bit as the ladybirds walked along it. I hope you have plans for a relaxed day enjoying all the delights of our Australian landscape and culture. Our house is about to get busy. Each year our daughter hosts a ‘Hottest 100’ Countdown Party. A National radio Station, JJJ, plays the most popular songs of the year as voted by it’s listeners. The day involves lazing by the pool, eating yummy food and enjoying friendships new and old as the songs play. 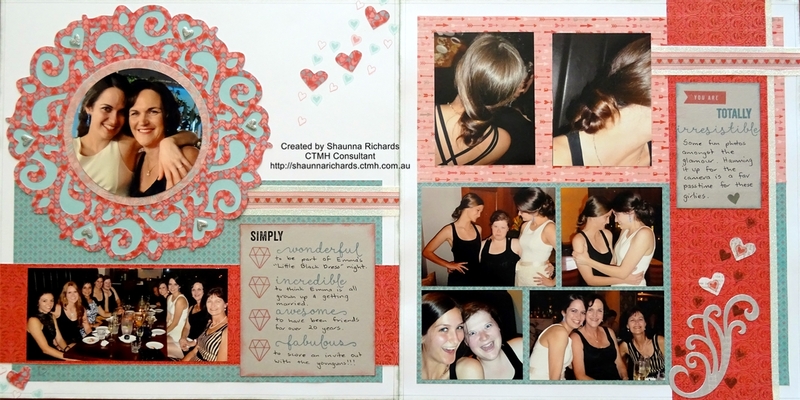 Inspiration for this layout came from p22 of the “Reflections” How To Book. The 1-10 title will be used to list the top 10 songs and the top 10 highlights of the day – there is always much hilarity and some classic quotes that are worth recording. I cut this title from the Artbooking Cricut Cartridge (p81). I was happy to find a photo mat with stars too. It’s on p65 of the Atrbooking Cricut Cartridge. 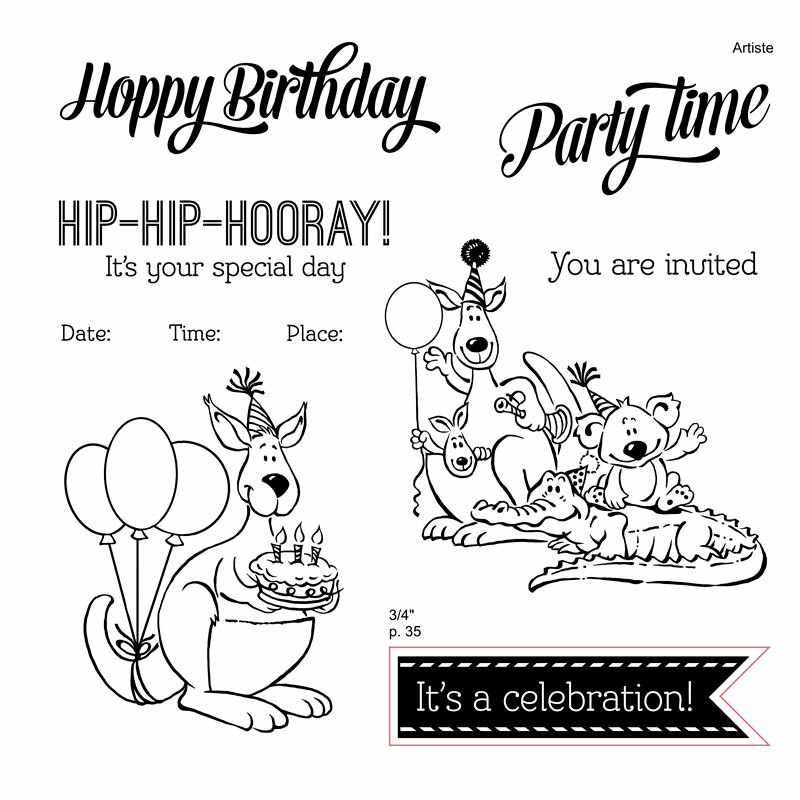 The Celebrate Australia Stamp (D1640) is perfect for Australia Day photos. The title was fun to create. I cut large letters with the Artiste Cricut Cartridge and added the fircracker stars to each letter. 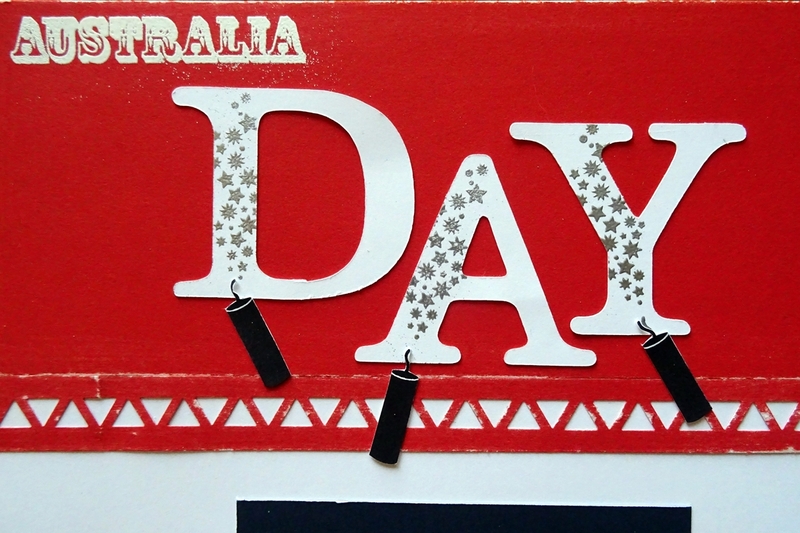 I then embossed these with silver heat embossing powder and fussy cut the firecrackers below the letters. The Triangle Border punch added detail and then I sanded it for some texture. 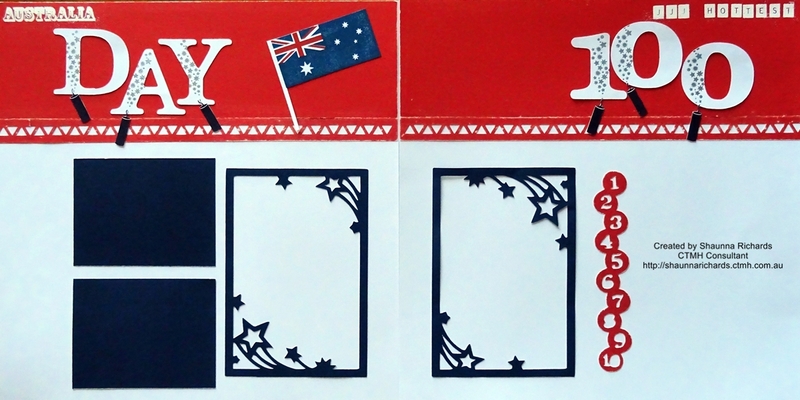 The Australian Flag stamp in this set is very clever. 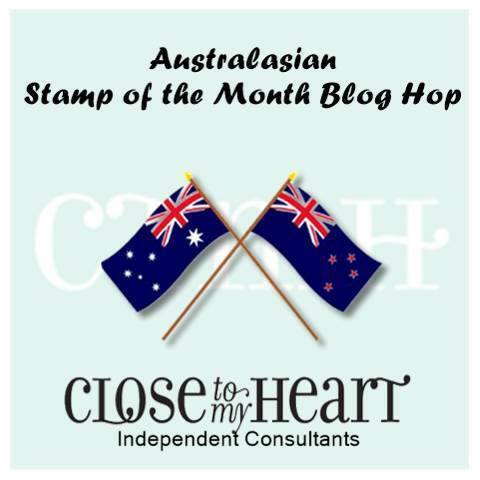 You stamp the flag in Outdoor Denim ink onto white cardstock and then stamp the smaller cross in Cranberry. It’s easy to line up because our stamps and blocks are clear. 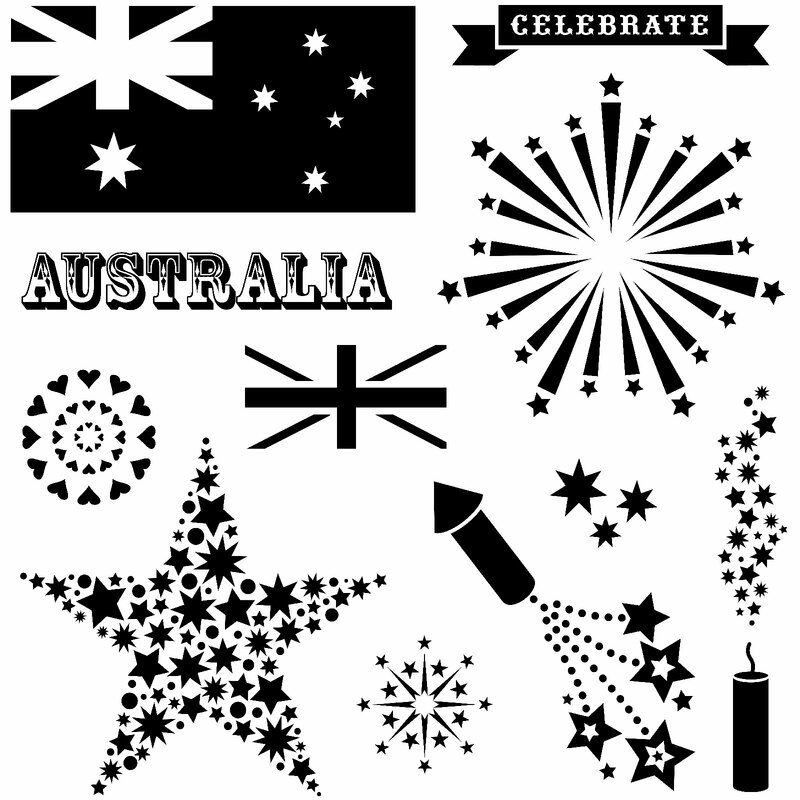 Hav a fabulous Australia Day, remember to take lots of photos and make some pages of your traditions. As mentioned yesterday, I made a couple of cards with the gorgeous Year Noted kit. This kit is only available during January 2015. It’s just $10 with a $75 order. 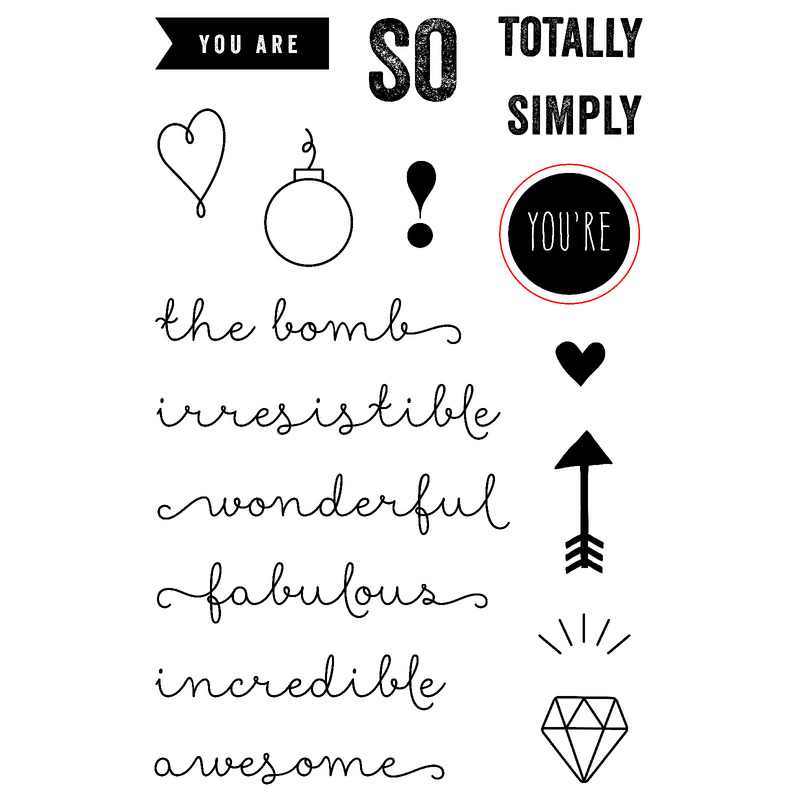 The kit includes a C-size stamp set, gold foil stickers, cardstocks, and B&T Duos™ papers, valued at $37. You can also add a Mini album for just $5 more – that’s $52 value for just $15! My second card took a bit more time but was lots of fun to make. I cut the large starburst away from the rest of the stickers (keeping the paper backing in place) and ran it through my dry embossing machine using the Heart embossing folder (Z3018). 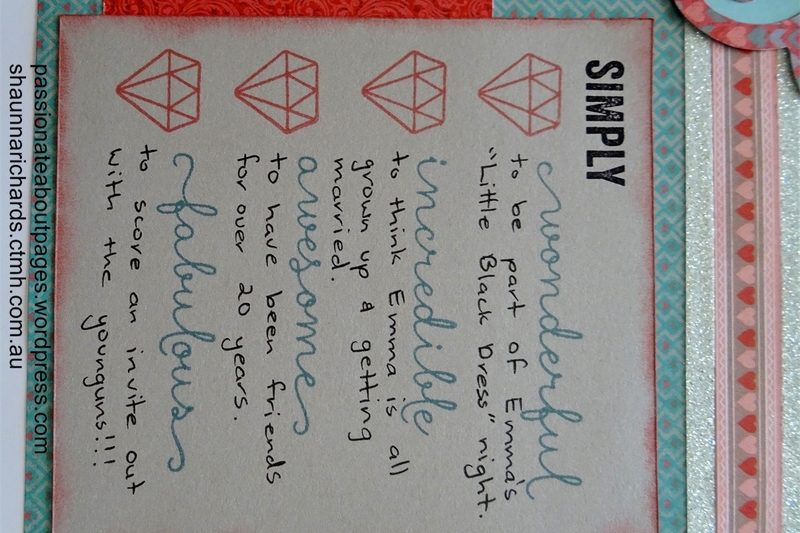 The bottom half of the card used the Floral embossing folder (Z1994). 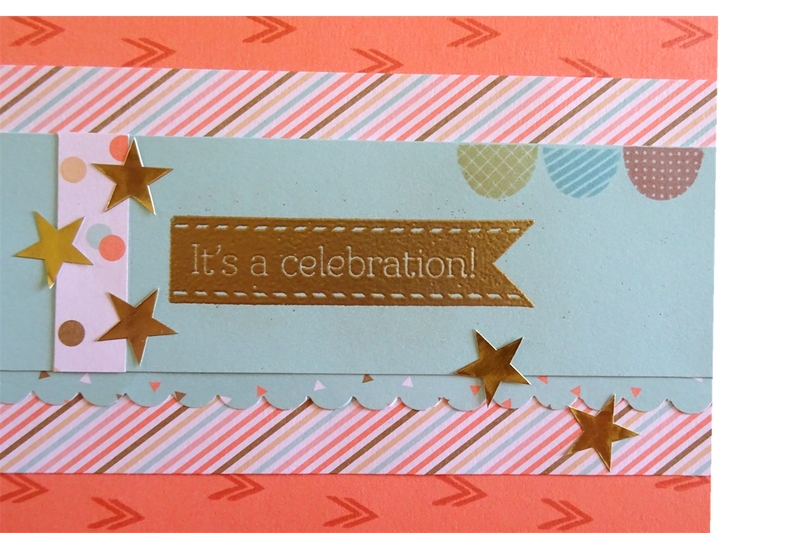 A bit of gold shimmer behind the Triangle border punch and a gold heat embossed sentiment finished it off. 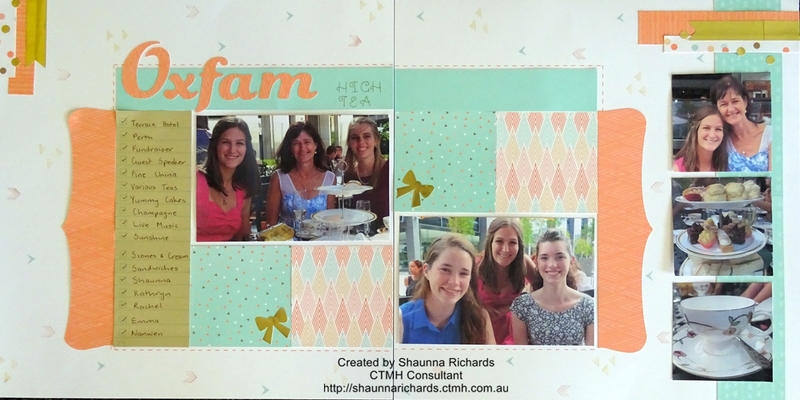 Have you had a look at the beautiful pages in this month’s CTMH special promotion? Click here for details. 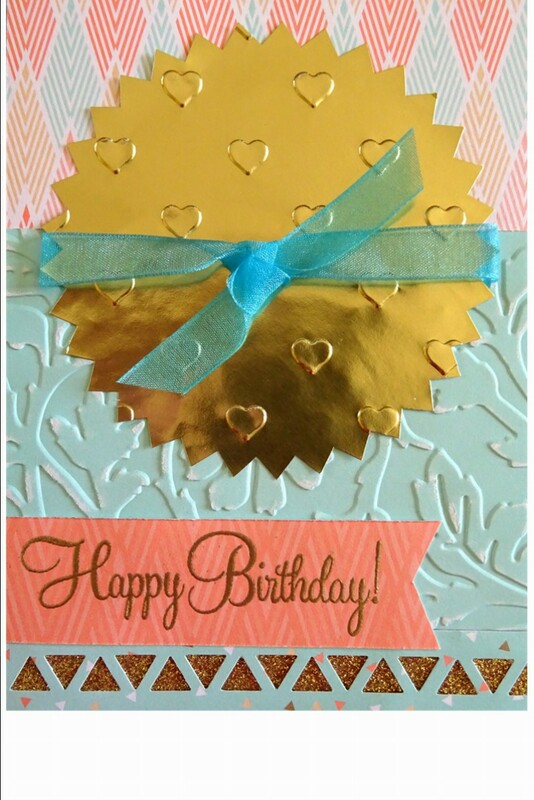 The soft orange, blue and yellow tones and subtle prints work so well for cards and pages. I was surprised just how far this pack of papers and stickers will stretch. I’ve created a double page layout and 2 cards and I’ve only used about half the pack. Check back tomorrow to see the cards. 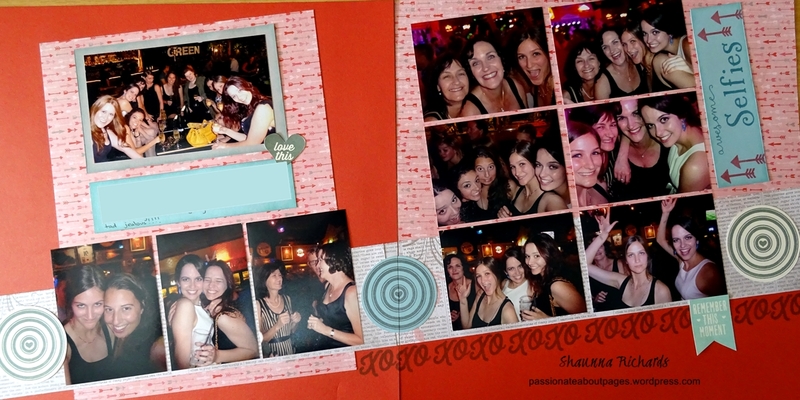 Today I’m sharing the pages I made. 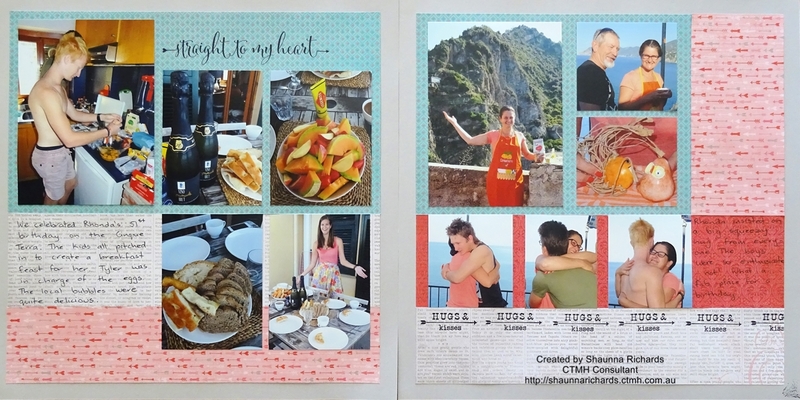 This layout is copied from Make It From the Heart Vol 1,Layout Six. 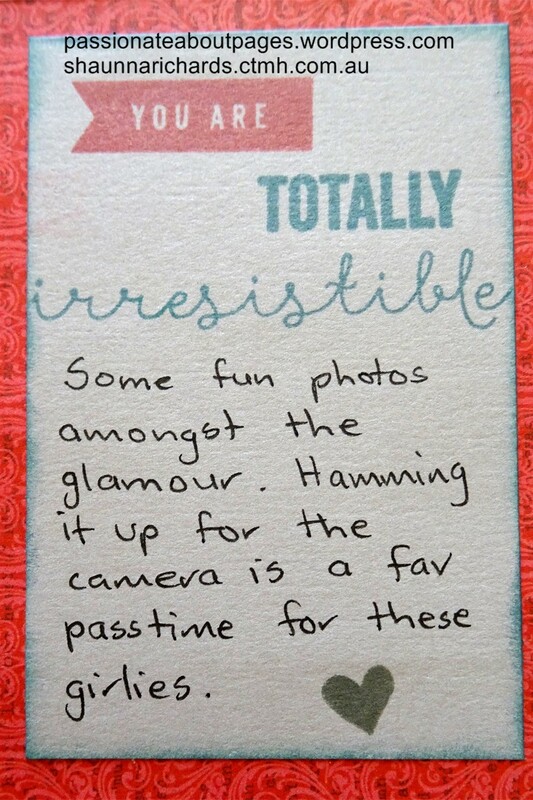 I have 4 extra 4″ x 6″ pahotos to add in flip flaps once this page is in my album. 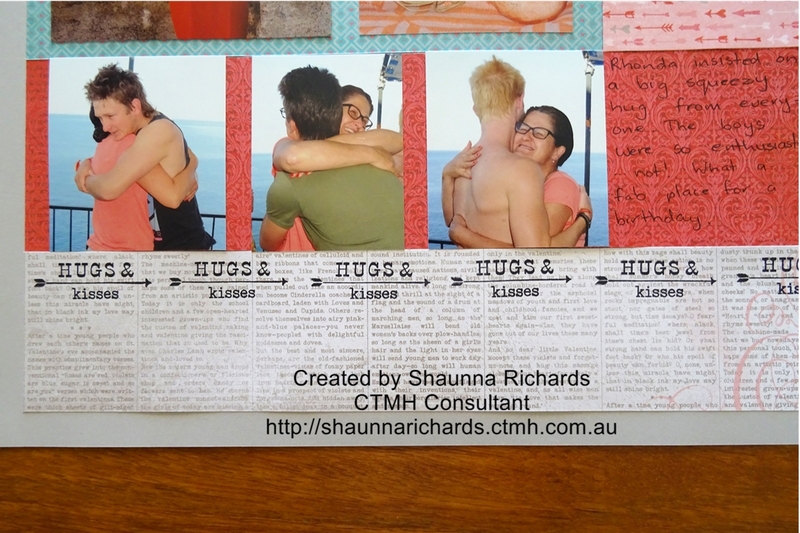 The subtle background was scraplifted from a page featured on the CTMH Facebook page last week. Click here to check it out. The stamping is second generation. 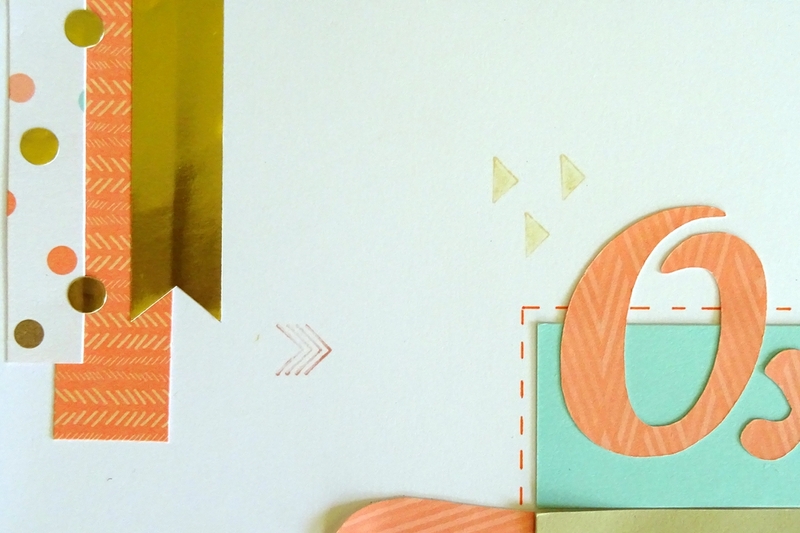 The gold foil stickers blend beautifully with the papers. I added an extra flag and a few extra dots to this cluster in the page corner. 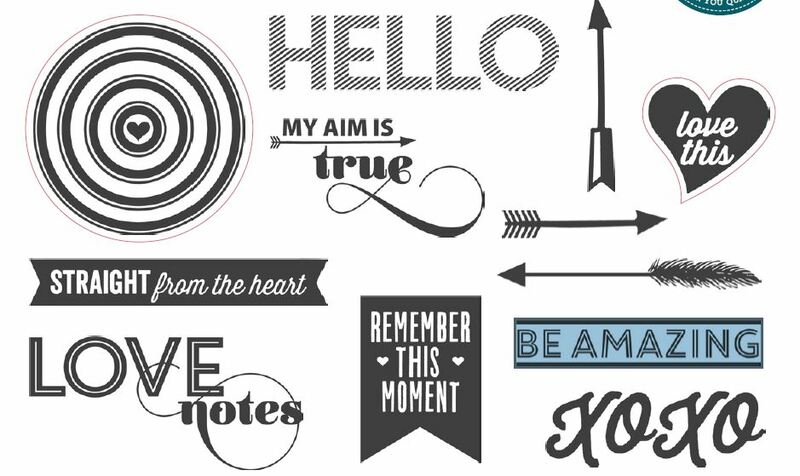 The bows on the page are also stickers. 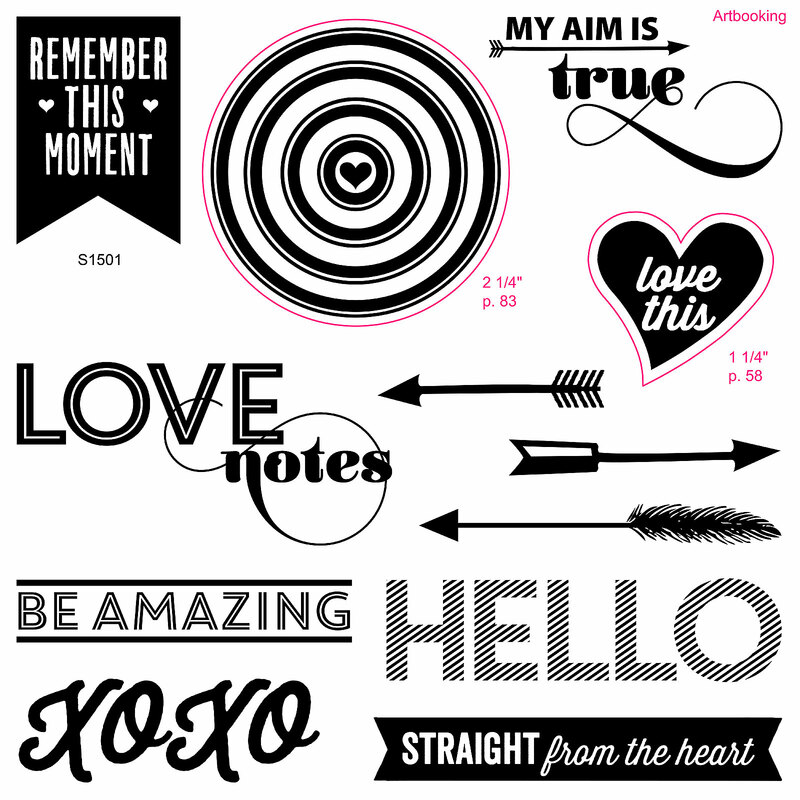 The stamp set has a set of journalling lines and a strip of check boxes. 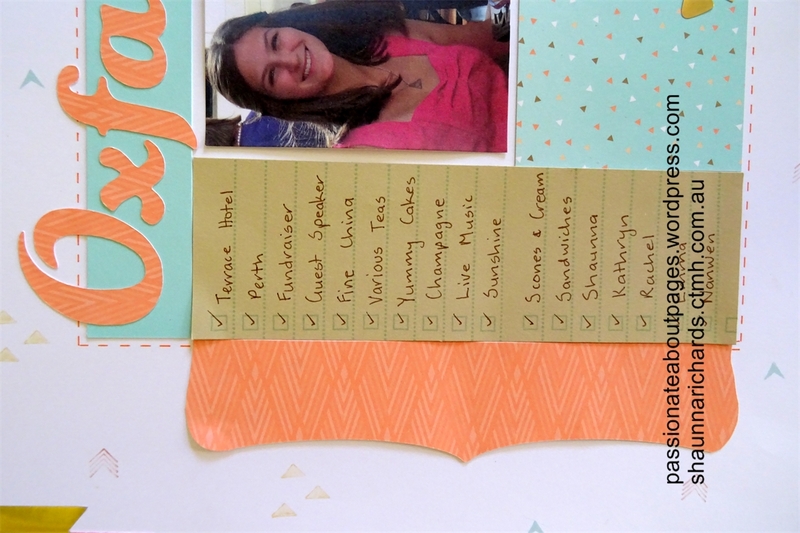 It was fun to journal this page as a checklist of key words rather than using sentences. My tip would be to line the journal box up on your Versamat before stamping the lines and then yours will be evenly spaced. 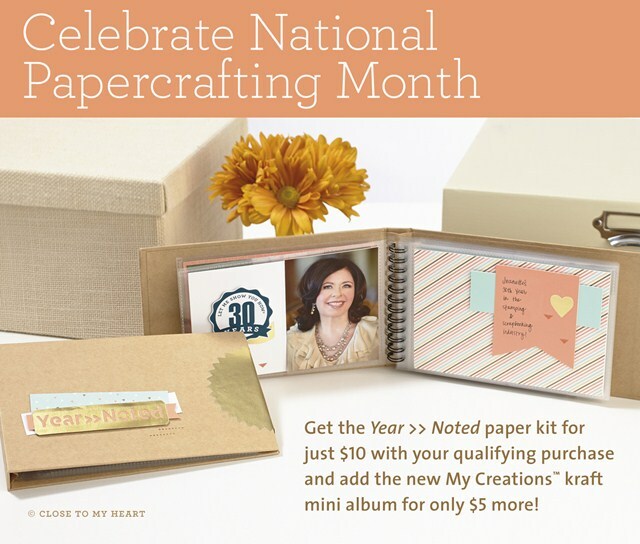 The Year Noted kit can be yours for just $10 with a $75 order. You can also opt for the $15 kit which includes a mini album. These are limited edition items, available January 2015 only. Place your order here.